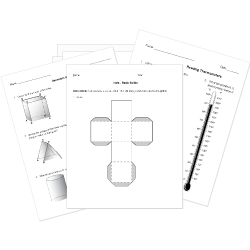 You can create printable tests and worksheets from these Grade 5 Angles questions! Select one or more questions using the checkboxes above each question. Then click the add selected questions to a test button before moving to another page. Which are possible degree measures of an obtuse angle? Draw an angle that would have the same measurement as the one shown. Measure this angle and draw and label one that is larger.